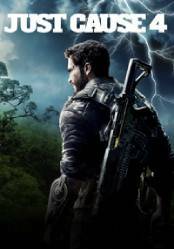 Just Cause 4, the fourth installment of the well-known action game franchise, has now been released. He will be with us on December 4, 2018 and promises to come with a lot of news regarding his previous delivery. In Just Cause 4, we'll enter Solis, a huge South American territory where conflict, oppression and extreme weather conditions are the order of the day. Our character will have a huge arsenal of all kinds of weapons, gadgets, and of course, the famous fully customizable grip hook. We will also have a wide variety of suits for every situation, such as the Skydive, the Base Jump suit and many others, which will allow us to enjoy all the frenetic action of the title. Fight your enemies in extreme weather conditions, such as tornadoes and tropical thunderstorms, taking the iconic action of Just Cause to new heights. Use extreme weather events to your advantage thanks to the physics never seen before in the game. In this installment our main enemy is the Black Hand, a private high-tech military organization, so we must be vigilant to get their toys. Meteorology plays a very important role in this fourth installment and the map where the action takes place is composed of almost 100 square kilometers of exotic areas, with ecosystems of all kinds, from jungles to deserts. Personalization, evolution of the weaponry and the hook, new costumes, more frenetic action, new weaponry, and a host of new features that promise to make Just Cause 4 one of the most anticipated of 2018. For the Michael Bay fans out there, highly recommend! The environments are awesome, natural events are immersive, and the enemy AI is not as retarded as I thought it'd be. Worth the buy, good price, thanks. An amazing game, totally worth buying. The map is almost 10 times bigger than its previous title. The graphics are beautiful and the gameplay is fun. There are new vehicles and new gadgets which make the game more interactive than ever before. This game will be so good. i loved the second and the third one and now you get one with a bigger map,better physics and so much more Can't wait for it.